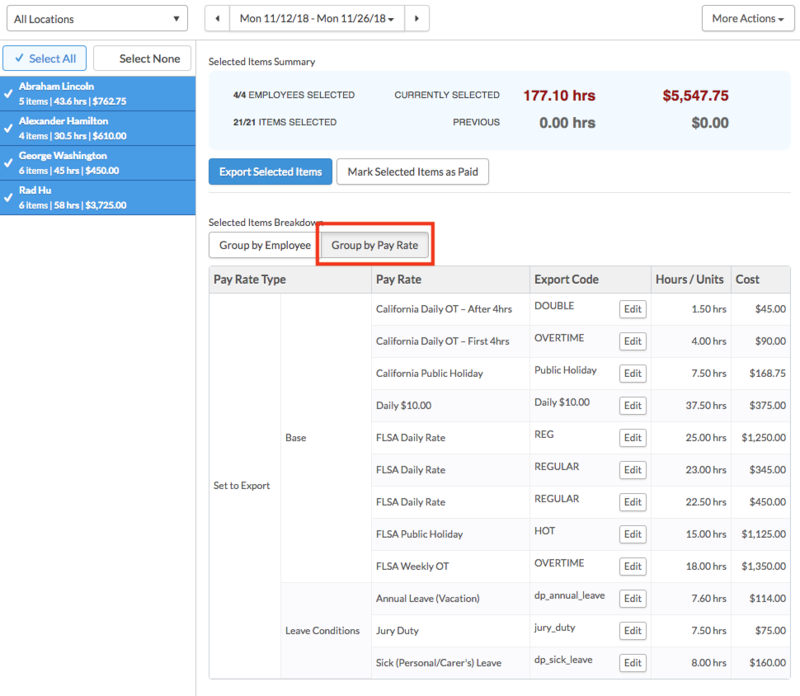 This guide walks you through exporting to Sequoia Payroll. 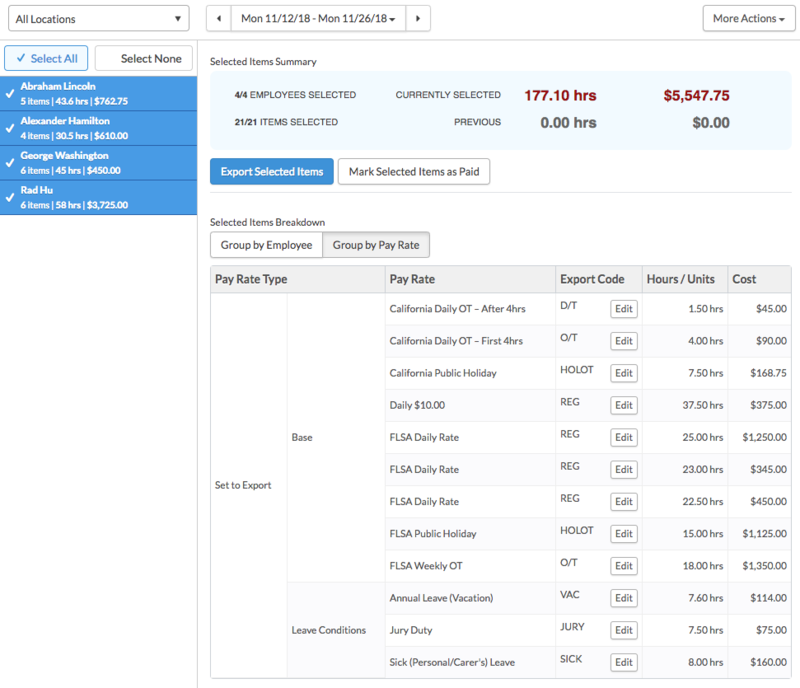 First, navigate to the Timesheet Export page. 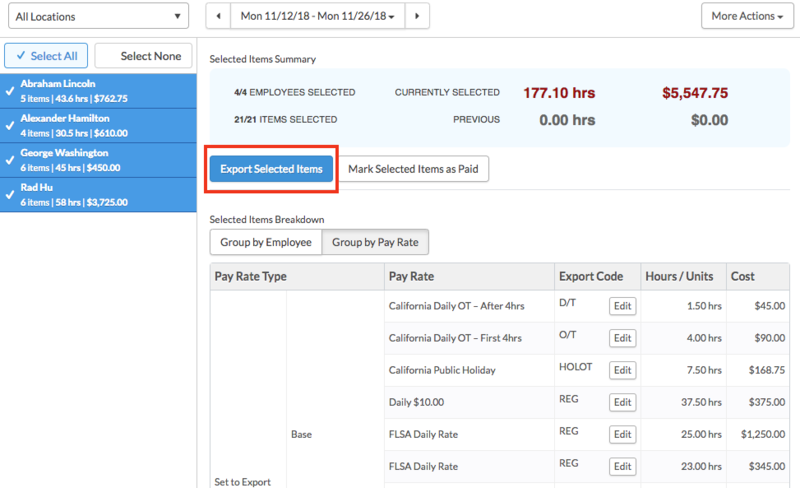 Select the employee timesheets you would like to export. 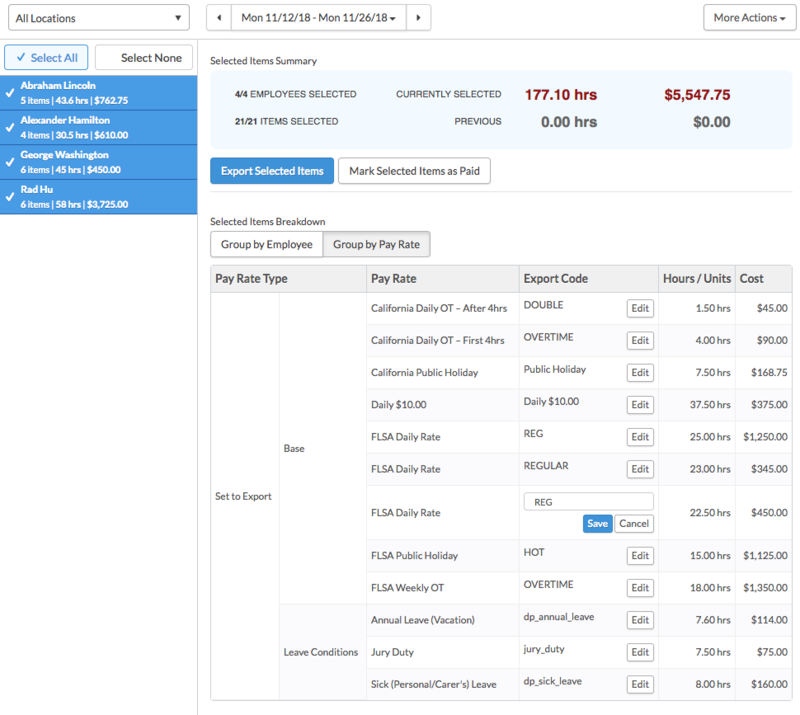 Click 'Group by Pay Rate'. If they do not, you will need to edit the Export Code. You can edit the Export Code by clicking the 'Edit' button, enter the appropriate Sequoia code, and click 'Save'. Next, click 'Export Selected Items'. 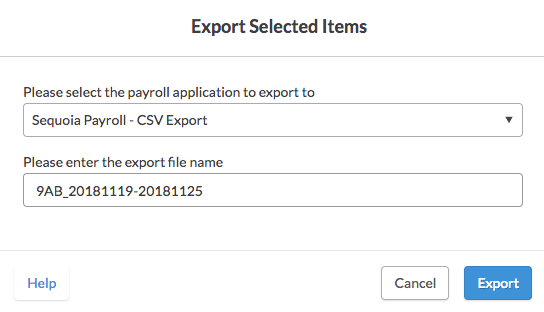 In the payroll application drop-down list, select 'Sequoia Payroll - CSV Export'. Here you can change the name of the export file name. When you are finished, click 'Export'. If the export is successful, the following will appear. 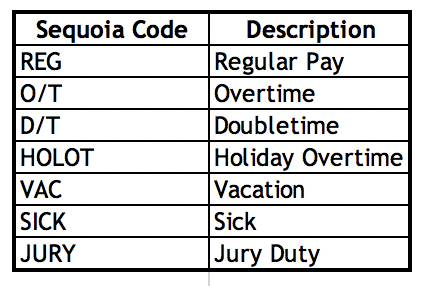 The file should look similar to the image below and is used to upload to Sequoia to complete your payroll process.